2. What does camp cost? We have a weekly rate only for summer camp. 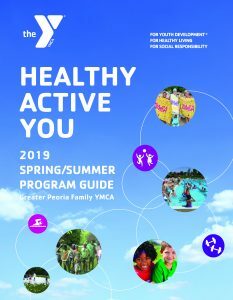 Members: $135.00/week; Non -members: $155.00/week; Registration fee: $35.00 non –refundable fee per family Check out the benefits of why you and your family should become a member of the Peoria YMCA! 3. What time does camp start and end each day? 7:00am-5:30pm – Our structured activities begin at 8:30am each day, so we ask that all children arrive by this time. 5. Can I pay in cash at the start of each week? To eliminate the need to make weekly payments and provide a user friendly method, we use a a bank draft only option for the method of payment for camp. This ensures a higher quality of service to you and your family. 6. What if my child care needs change during the summer or our family takes a vacation? If you need to change the scheduled days your child is in our Before and After School Care or Summer Camp, a Change of Status Form must be completed 7 days prior to your child being away. If you neglect to submit a Change of Status Form one week prior, payment will be due. This policy allows for accurate staffing for camp. Click here for the Change of Status Form. C. Striving to make the recreational experience a positive and successful one for all. If an individual with a disability requires assistance in order to successfully participate in one of our classes, programs or activities, or to use our facilities, a reasonable accommodation should be requested by the parent or guardian at the time of enrolling in the program or class. Participants visiting the YMCA’s facilities or taking part in the YMCA’s programs or activities must be able to participate in an independent fashion. Staff is not able to provide services of a personal nature, such as assistance in eating, toileting or dressing. Participants are welcome to bring a caregiver or aide if they need assistance with these activities. Personal caregivers/aides will not be charged program fees for programs or activities they are assisting in, but they are still responsible for paying costs, such as ticket or admission fees. Should a participant need support above and beyond a reasonable accommodation such as one-on-one support, medical assistance that requires medical training this will be provided at the participant or parent’s expense. If at any time the behavior of a participant jeopardizes the ability of the YMCA to provide a reasonably safe environment, any individual may be removed from programming. 7. What are your activities in camp? Swimming, field trips, Vacation Bible School, 4-H, Girl Scouts, Boy Scouts, arts & crafts, science projects, nature walks plus many other exciting activities! 8. Do you serve lunches? Yes! This year, thanks to support from the Walmart Foundation, we are able to provide your child with lunch. We do ask that you send a bottle of sunscreen and a reusable water bottle still. 9. What ages do you accept in camp? Camp is for kids 5-10 years old (going into Kindergarten-5th grade). For kids 11-13 (going into 6th-8th grade), we have our free Teen Reach program daily from 9am-3pm, plus before & after program for our members. Click here for more information on the Teen Reach summer program. 10. Do you anything for my 4 yr. old? No, children must be 5 years old and have been in a kindergarten setting for one year. 11. Do you offer overnight camp: No, the Peoria YMCA does not offer overnight camp, but other Y’s do offer them, see below for a few options.